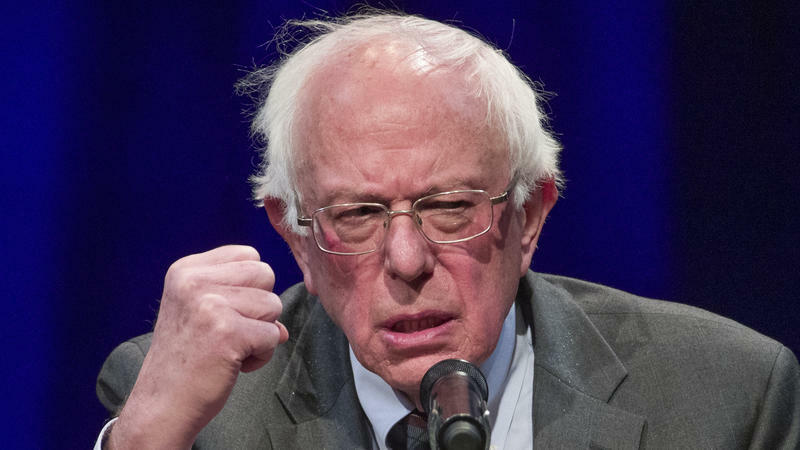 Sen. Bernie Sanders, pictured here on Jan. 30, has has confirmed to VPR that he is seeking the 2020 Democratic presidential nomination. This marks Sanders' second presidential run. His official announcement video was posted online Tuesday morning. "I wanted to let the people of the state of Vermont know about this first," Sanders told VPR's Bob Kinzel. "And what I promise to do is, as I go around the country, is to take the values that all of us in Vermont are proud of — a belief in justice, in community, in grassroots politics, in town meetings — that's what I'm going to carry all over this country." 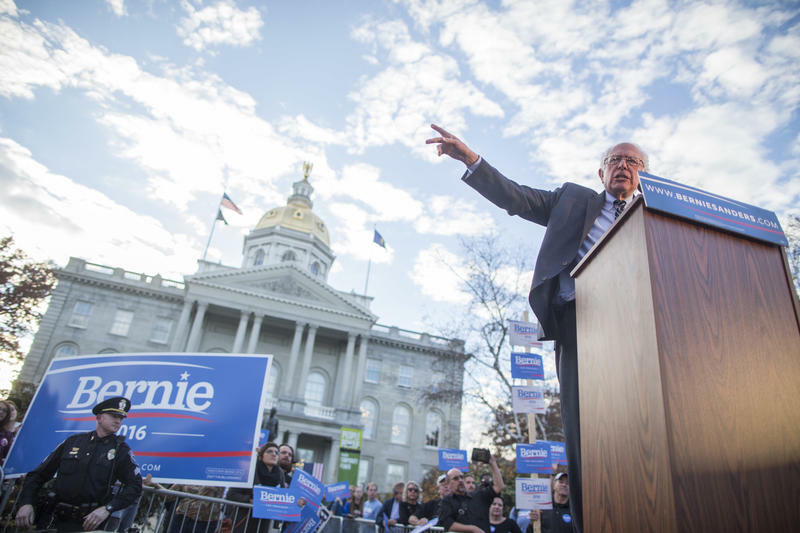 Listen to Bob Kinzel's interview with Sen. Bernie Sanders above. Sanders said he is running to oppose President Donald Trump, and to enact many of the progressive ideas — including universal health care coverage, a $15 minimum wage and reducing student debt — that he championed in 2016. "I think the current occupant of the White House is an embarrassment to our country," Sanders said. "I think he is a pathological liar... I also think he is a racist, a sexist, a homophobe, a xenophobe, somebody who is gaining cheap political points by trying to pick on minorities, often undocumented immigrants." Sanders said his campaign hopes to enlist one million people in a "grassroots movement of people prepared to stand up and fight." Sanders acknowledged he will encounter a "very different campaign," than in 2016, when he emerged as the sole serious challenger to former Secretary of State Hillary Clinton and won 23 primaries and caucuses. A diverse Democratic field includes more than a dozen candidates who have either formally declared or expressed serious interest. The challengers include five of Sanders' colleagues in the U.S. Senate — Cory Booker, Kirsten Gillibrand, Kamala Harris, Amy Klobuchar and Elizabeth Warren. "We have got to look at candidates, you know, not by the color of their skin, not by their sexual orientation or their gender and not by their age," Sanders said. "I mean, I think we have got to try to move us toward a non-discriminatory society which looks at people based on their abilities, based on what they stand for." Sanders also touted his health and "energy level." This post was updated at 7:12 a.m. to include the announcement video when it was published (not streamed, as we originally stated). VPR reporter Bob Kinzel spoke to VPR "Morning Edition" host Mitch Wertlieb on Tuesday morning about Sen. Bernie Sanders' decision to run for president again. Sanders is returning to the stage with a much different national profile than when he announced his first presidential bid back in 2015. VPR spoke with political scientists who discussed both how that could benefit Sanders in another run, as well as challenges that may present this time around. Allegations of sexism and sexual harassment against members of the 2016 Sanders' campaign have also surfaced in recent weeks. Since the 2016 election we've seen the rise of the #MeToo movement, and those conversations are likely to continue throughout this presidential election season. "We are gonna be providing a whole lot of education ... and training to all of our employees, and we have on board as part of this campaign a very, very experienced and professional team of folks who do exactly this — they deal with sexual harassment and discrimination," Sanders told VPR. "Bernie Sanders Enters 2020 Presidential Campaign, No Longer An Underdog"
"Which Democrats Are Running In 2020 — And Which Still Might"
What Have Past Supporters Been Saying? Speculation has been brewing for a while about another Sanders presidential run. Some who supported Sanders four years ago have expressed their desire to do so again, while others have voiced concerns about another Sanders run and are looking toward other candidates. Welch had supported Sanders during the 2016 campaign, while Leahy supported Clinton in that primary. This post was updated to include the reaction from Leahy and Welch. Currently Sanders is serving his third term as a U.S. senator for Vermont — prior to that he served in the U.S. House and as mayor of Burlington. When Sanders announced his candidacy for the 2016 presidential election, VPR put together a documentary called Becoming Bernie, which looked at Sanders' personal and political background. More from VPR — Explore the Becoming Bernie project here. The 2016 presidential campaign of Vermont Sen. Bernie Sanders has faced accusations of "sexual violence and harassment" by staffers who worked on the campaign. Now new reporting from Politico identifies a senior campaign director who allegedly made inappropriate physical advances on a junior staffer in 2016. In late May 2015, standing at the lakefront in Burlington, independent Sen. Bernie Sanders formally announced that he would seek the Democratic presidential nomination. But should Sanders pursue another presidential run during the 2020 campaign, it's likely to look different from that first bid. Sen. Bernie Sanders didn't win the Democratic nomination for president in 2016, but some of his supporters from two years ago are hoping he'll reboot his candidacy for the next presidential election.